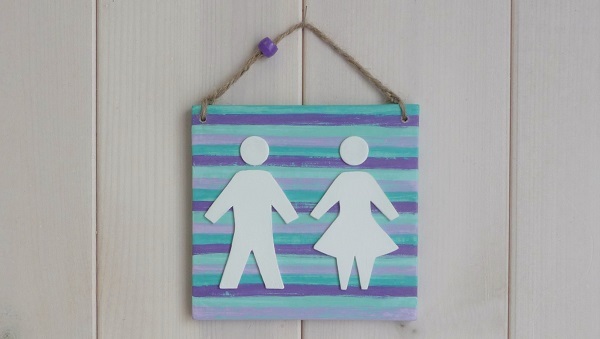 His & hers door sign measuring 9.5cm x 9cm. Hand painted in red and orange with a stripey distressed finish, strung with natural twine and a coordinating bead. 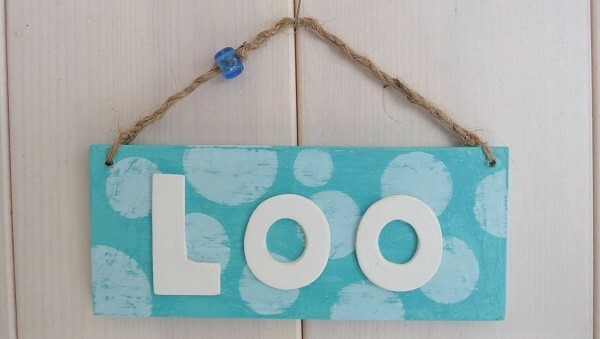 Loo door sign measuring 12cm x 5cm. Hand painted spots in jade with a distressed finish, strung with natural twine and a coordinating bead. 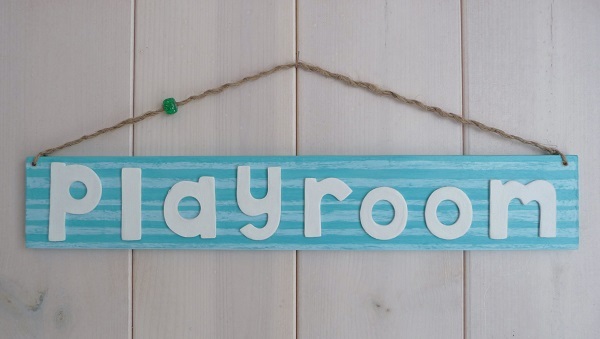 Playroom door sign measuring 29cm x 5cm. Hand painted in jade with a stripey distressed finish, strung with natural twine and a coordinating bead. 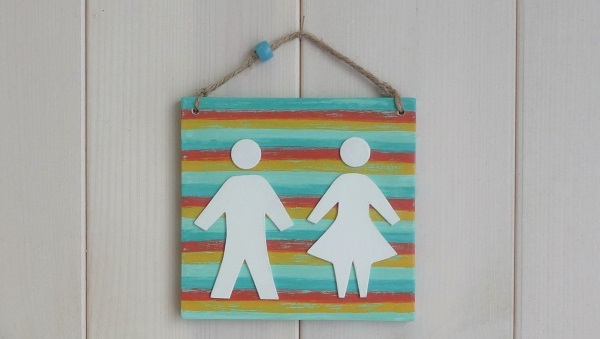 His & hers door sign measuring 9.5cm x 9cm. 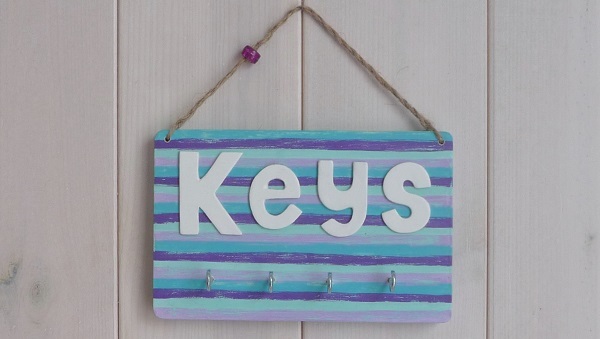 Hand painted in purple and aqua with a stripey distressed finish, strung with natural twine and a coordinating bead. 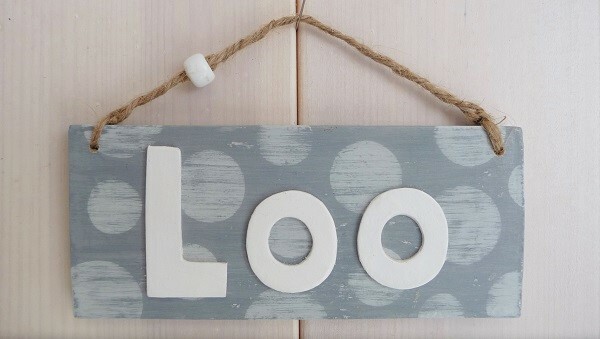 Loo door sign measuring 12cm x 5cm. Hand painted spots in greys with a distressed finish, strung with natural twine and a coordinating bead. 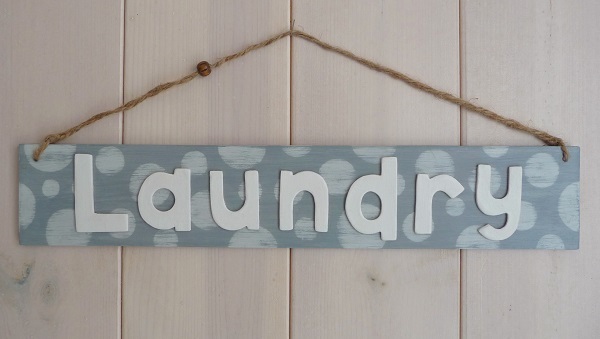 Laundry door sign measuring 29cm x 5cm. Hand painted spots in greys with a distressed finish, strung with natural twine and a coordinating bead. Key tidy with four hooks measuring 9.5cm x 9cm. Hand painted in red and orange with a stripey distressed finish, strung with natural twine and a coordinating bead. 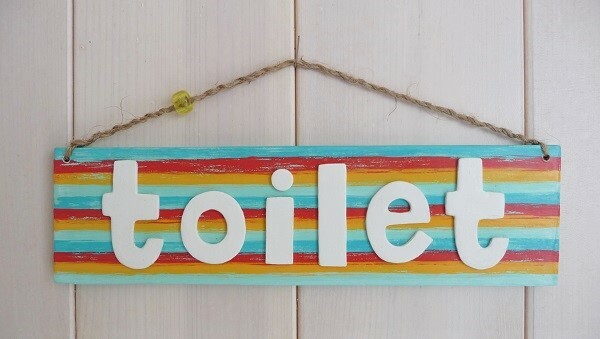 Toilet door sign measuring 19cm x 5cm. Hand painted in a red and orange with a stripey, distressed finish, strung with natural twine and a coordinating bead. 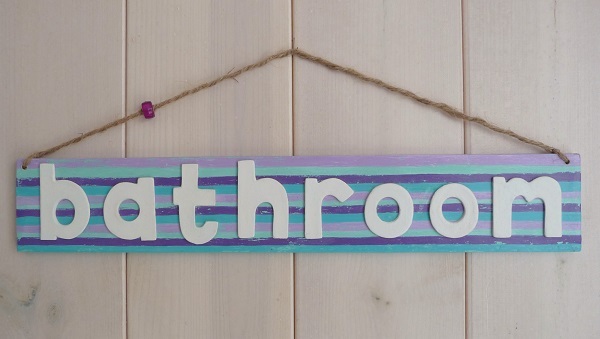 Bathroom door sign measuring 29cm x 5cm. Hand painted in red and orange with a stripey distressed finish, strung with natural twine and a coordinating bead. 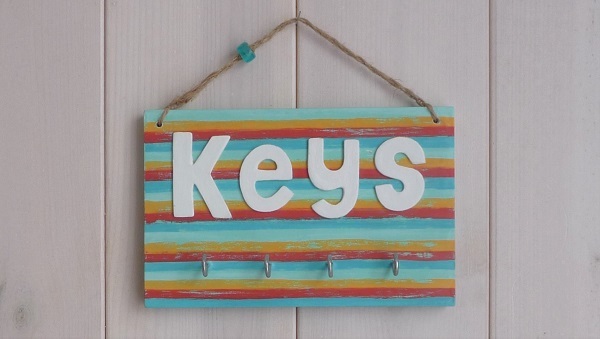 Key tidy with four hooks measuring 9.5cm x 9cm. Hand painted in purple and aqua with a stripey distressed finish, strung with natural twine and a coordinating bead. 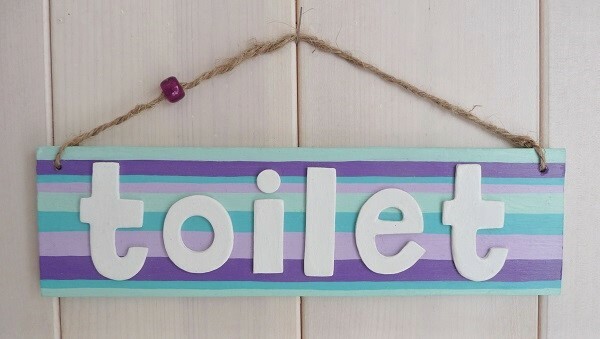 Toilet door sign measuring 19cm x 5cm. Hand painted in a purple and aqua with a stripey, distressed finish, strung with natural twine and a coordinating bead. 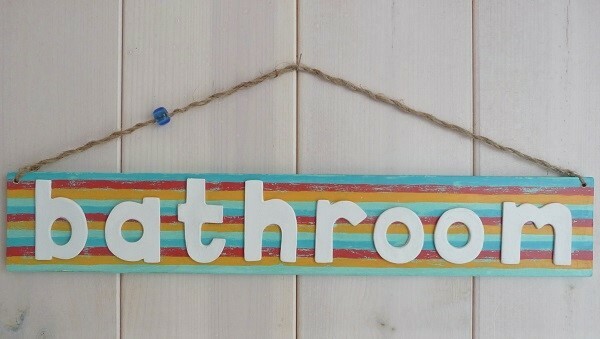 Bathroom door sign measuring 29cm x 5cm. Hand painted in purple and aqua with a stripey distressed finish, strung with natural twine and a coordinating bead.